Zone 9, including the cities of San Jose, San Mateo, Mountain View, Cupertino, Redwood City. 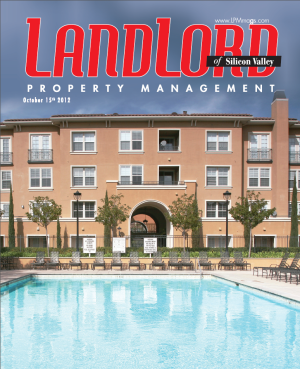 Landlord Property Management Magazines are available in print by paid subscription, or online as a free digital publication you can access from any web browser. To receive an email reminder when the next digital edition is available, sign up in the red box in the sidebar of this page. Please use the form below to submit your information. We will contact you to make payment arrangements and confirm your mailing address.